For those who want to increase the performance in the pre-selection tests, preparatory courses may be taken. Some candidates of EU exams prefer to review and study through the guidance of a trainer. In the preparatory courses, there are tips given in preparation for the Assessment Centre. Preparatory courses are helpful because in can increase the result significantly. 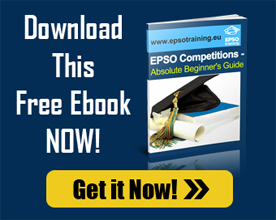 Knowing the EPSO assessor’s expectations is also explained in the course that’s why it is practical to take preparatory courses.